I line Sanitary Fittings is a popular sanitary fittings series for the processing industries of food, winery, oil product, water treatment etc. 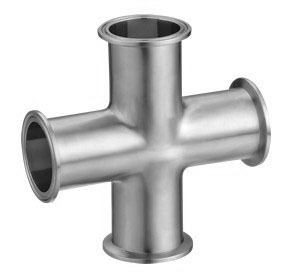 Made in stainless steel 304 and 316L, I-line sanitary fittings have the advantages of bearing high pressure, shock resistance, high temperature resistance, and maintenance easily etc. Wellgreen sanitary is ability to supplying qualified hygienic I-line Fittings comply to your condition and FDA,GMP requirement. Material of stainless steel 316L and 1.4404 is from reputed mill to guarantee the chemical composition and mechanical propertis. Material certificate will be submitted follow to orders. Low cost from bulk production will reduce purchasing budget and improve your business. Possible to make customized design as per drawing or sample. Mechanically polished and electropolished are available for sanitary I-line fittings. We can provide the fittings with outside and inner polished, inner polished only and outside polished only depends on your need. 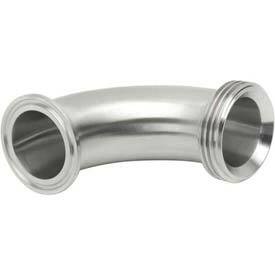 Tube and Fittings: Ra 0.6, Ra 0.8 or specified. Food, Brewery, Beverage, Dairy, Pharmaceutical, Fine chemical, Cosmetic, water treatment etc. *For more information and specification about I-Line Fittings, please contact us here. This entry was posted in I-Line Fittings, Sanitary Fittings and tagged Clamp Fittings, I Line Fitting Series, Tube Fittings on May 18, 2014 by hansen_admin. Sanitary Clamp Elbow with Threaded is the elbow with one end tri-clamped and another end male threaded, so there is two different connections on the ends. Sanitary Clamp Elbow with Threaded/Union made in stainless steel 304 and 316 or specified material, with the advantage of high purity surface and corrosion resistance. Wellgreen offers Tri-Clamp Elbow with Threaded/Union through 1/2″ to 12″, with standard 3A, DIN, SMS, BS, ISO, IDF, DS, BPF, I-Line fittings etc. 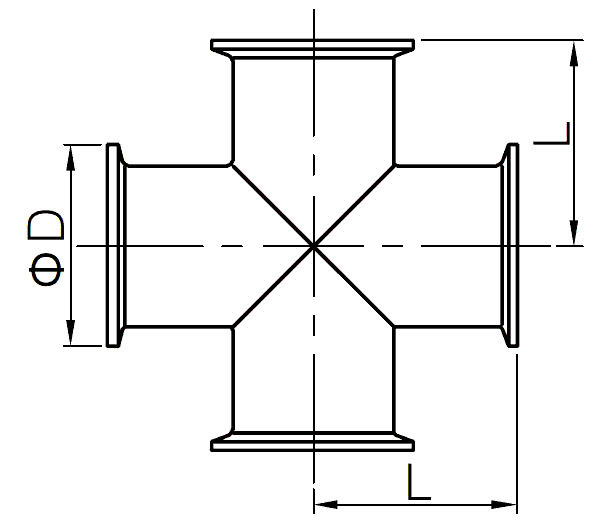 The tri-clamp elbow could be fabricated as per client’s requirement and drawing. *For more information of Sanitary Clamp Elbow with Threaded, please contact us here. This entry was posted in Clamped Fittings and tagged Clamp Fittings, Sanitary Elbow Fittings, Sanitary Thread Fittings, Tube Fittings on April 29, 2014 by hansen_admin. Sanitary Clamp Cross Fittings are tri-clamp connected cross fittings, use of high purity sanitary gasket to seal. Sanitary clamp cross is a joint of piping which has four outlets to disperse the fluid in the process system. Wellgreen sanitary clamp cross are made in stainless steel 304 and 316 or specified grade, with the advantage of high purity surface to meet hygienic requirment. 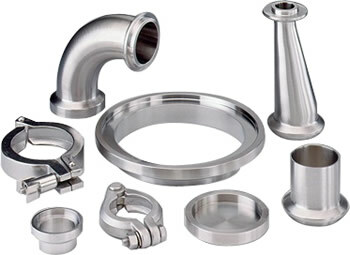 Wellgreen offers sanitary fittings through 1/2″ to 12″, with standard 3A, DIN, SMS, BS, ISO, IDF, DS, BPF, I-Line etc. *All dimensions are in mm except specified. *For more information and specification about Sanitary Clamp Fittings, please contact us here. This entry was posted in Clamped Fittings, Sanitary Fittings and tagged Clamp Fittings, Cross Fittings, DIN Sanitary Fittings, Tube Fittings on April 29, 2014 by hansen_admin. Sanitary Clamp True Tee Fittings are connected by coupling clamp, use of high purity sanitary gasket to seal. The fittings are with good performance and low cost, it is most popular caused fast installation, easy assembly and unassembly in the process lines and equipment. 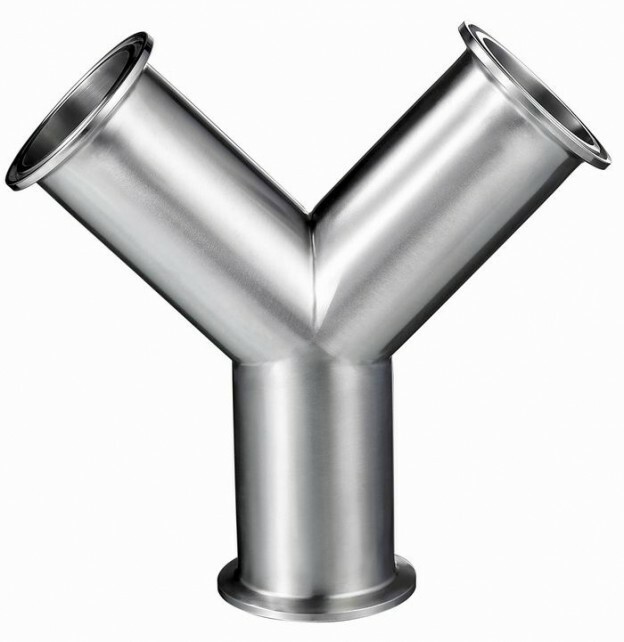 Sanitary Clamp True Tees and Y Tees are made in stainless steel 304 and 316 or specified grade, with the advantage of high purity surface and corrosion resistance. Wellgreen offers sanitary clamped fittings through 1/2″ to 12″, with standard 3A, DIN, SMS, BS, ISO, IDF, DS, BPF, I-Line etc. *For more information and specification about sanitary clamp true tees and lateral tees, please contact us here. This entry was posted in Clamped Fittings and tagged Clamp Fittings, Tee Fittings, Tube Fittings on April 23, 2014 by hansen_admin.